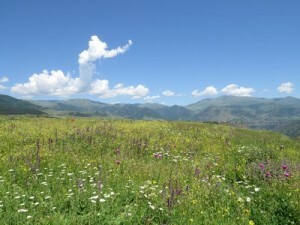 From ODZUN (Erevan-Odzun 178 km, pop. 5,600) you get an unparalleled view over all the plateaux above the Debed. This village has specialised in the production of fine aromatic plants, celebrated in the annual festival Treasures of Odzun. 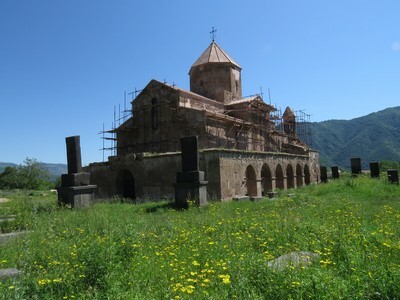 No less significant is Odzun’s religious history: the basilica of Saint Mary Mother of God is said to date from the VI th century, making it one of the oldest buildings in Armenia. 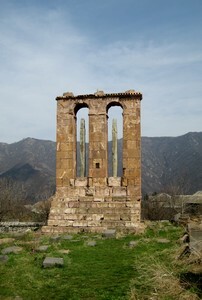 Ther is also the monastic complex of Saint Signus of Horomayr, which flourished from the VIII th to the XII he centuries. Posted on jeudi, juillet 31st, 2014 at 8 h 59 min.